Credit: Dr Eamon Laird, TILDA, Trinity College Dublin. Because 5% of adults over 50 were vitamin D-deficient, even in summer, the researchers work has implications for people living in sunlight-starved countries across the globe. Use of vitamin D supplementation in the study group was low, despite this method proving to be effective in greatly reducing vitamin D deficiency in Finland, which sits at a higher latitude than Ireland. The researchers, from The Irish Longitudinal Study on Ageing (TILDA) at Trinity College Dublin, have just published their findings in the Journal of Gerontology: Medical Sciences. Their work coincides with the international conference 'Vitamin D & health in Europe: Current and Future perspectives,' which is taking place in Cork, Ireland, on the 5-6th September. Vitamin D is essential for bone metabolism and is thought to have beneficial health effects for muscle strength and non-skeletal health. Liberal voluntary vitamin D fortification of only some food products currently occurs in Ireland, and there have been calls for a wider range of foods to be fortified. Before further fortification occurs, comprehensive information is needed on the prevalence and determinants of vitamin D deficiency, particularly in older adults who are most at risk. 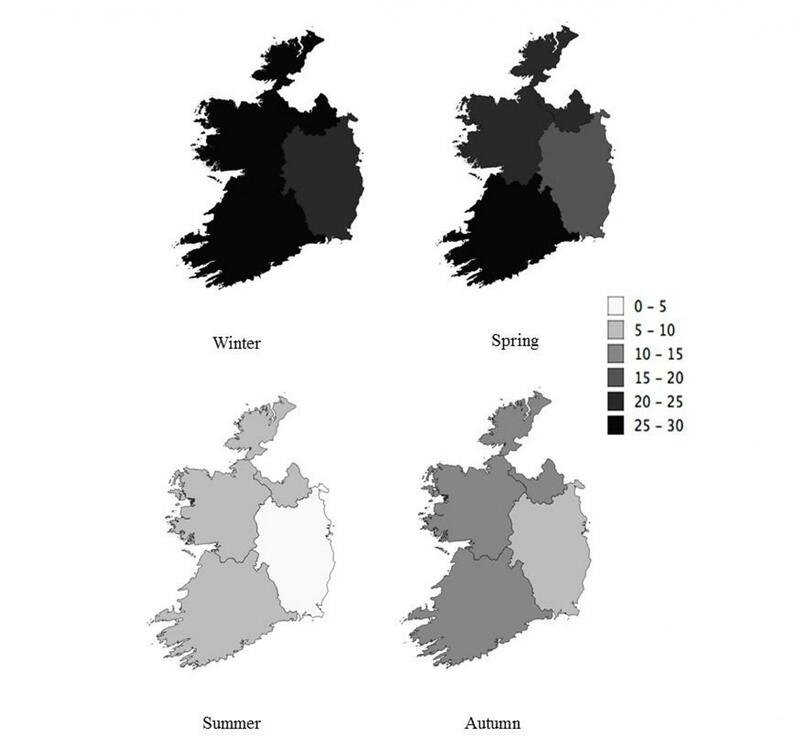 The TILDA researchers' paper examined the prevalence of vitamin D deficiency by age, economic status and lifestyle factors, and investigated what the main determinants of deficiency were in the older population in Ireland. These results are of relevance not just for Ireland but for all countries that experience seasonal variation in sunlight. Lead author of the study and Research Fellow at TILDA, Dr Eamon Laird, said: "This is the largest representative study of the vitamin D status of older adults ever conducted in Ireland and is also one of largest in the world. There are striking differences in the prevalence of deficiency across different physical and lifestyle factors such as obesity, smoking and physical inactivity, all of which are modifiable risk factors." Professor Rose Anne Kenny, Principal Investigator of TILDA, said: "Sufficient vitamin D status is needed for normal bone health and for the prevention of debilitating chronic conditions such as osteoporosis. Furthermore, new research has shown that vitamin D deficiency may also be associated with heart disease, kidney disease, brain health and diabetes." "If these associations are confirmed in other large studies, then the high rates of deficiency seen in the older adult population are of concern and, given that vitamin D can be treated easily with supplementation, this has significant policy and practice implications for Government and health services." TILDA is funded by The Atlantic Philanthropies, the Department of Health and Irish Life plc. This paper was also supported by funding from the Irish Department of Agriculture, Food and the Marine (13F492) and the Centre for Ageing Research and Development in Ireland (CARDI-LP3).